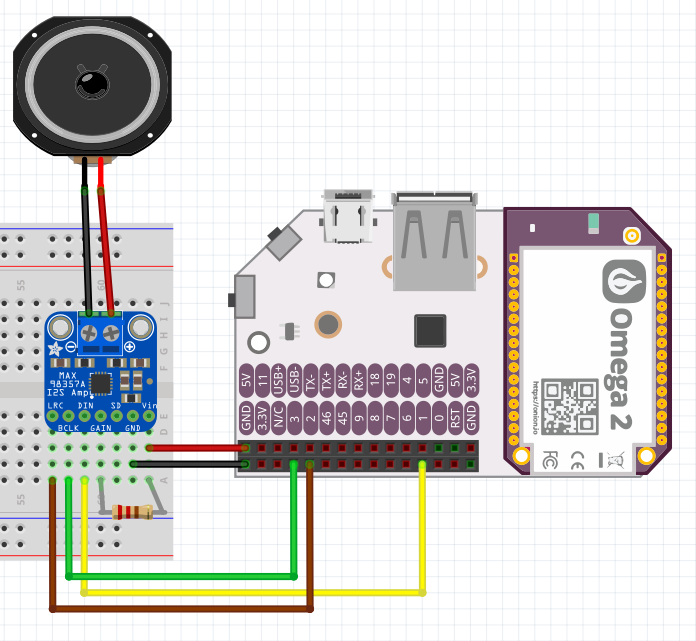 We have some more exciting news this week: the very latest release of the Omega OS has support for I2S audio devices! For this week’s tip, we’ll show you how to install the latest release and play some tunes with your Omega using an I2S amp IC and a small speaker. We’ll guide you through the installation process and the hardware setup. Then we’ll jump into playing MP3 and WAV files, and even streaming internet radio! So, let’s get started! Our very latest firmware, b177, adds I2S support to the Omega. Let’s go ahead and upgrade our OS. Please note, the upgrading process has to be done via either SSH or a Serial connection. Note that it will not work on the Terminal app on the Onion Console. Make sure to note that this is the latest release, and not the stable release. As such, proceed with caution! If you want to stop playback before the file is done, hit Ctrl+C. And here you have it! Now, you can listen to your favorite local and internet tunes using your Omega2!